The other day a congregant asked me a question about tongues since someone was encouraging them to “use their gifts.” Today I was turning to Augustine’s Homilies on the Gospel of John for my sermon. I neglected to read it last week and decided to play catch up instead of skipping over it since it was a great text. In the course of Homily 32, Augustine moves in a direction I did not anticipate: tongues. He went there because he clarified that the Spirit was given at Pentecost. The point was should we expect a similar experience as they had. This is a question that continues 1,600+ years later. Just because nowadays those who are being baptized in Christ and who believe in Christ do not speak in the languages of all nations, is it to be assumed that they have not received the Holy Spirit? No such lack of faith should tempt our heart. We are certain that everyone receives him; but whatever size vessel of faith you bring to the fountain is filled up. First, let us note that “speaking in tongues” was not common in Augustine’s day. He understood the languages which they spoke to be human languages the speaker did not know. 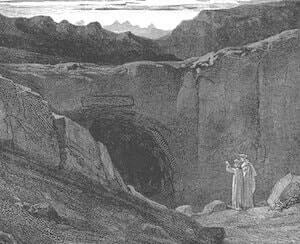 These were not “heavenly languages” as some seem to teach. Speaking in tongues, he says, is not the or a sign that someone has received the Holy Spirit. Early Pentecostals, believing that the tongues in Acts 2 were earthly languages, believed they would receive this gift while on the mission field. It didn’t happen. Now Pentecostals and Charismatics typically believe they speak in a heavenly language taking Paul’s hypothetical in 1 Corinthians 13 as reality. “Well, since then he is received nowadays too,” somebody may say, “why is no one speaking in the languages of all nations?” Because now the Church speaks in the languages of all peoples. Previously the Church was to be found in one people, when it was speaking in the languages of all. By speaking with the languages of all it was signifying what was going to happen, that by growing among peoples, it would speak everyone’s language. His argument was that only one people at the time, Israel, had the Gospel. The Church was comprised on one nation, Israel. The Gospel was about to go to the nations, and they could come into the Church (grafted in and joining, not replacing!). At that time the Church needed the gift of tongues, Augustine is arguing, to speak to the nations represented in the crowd there. 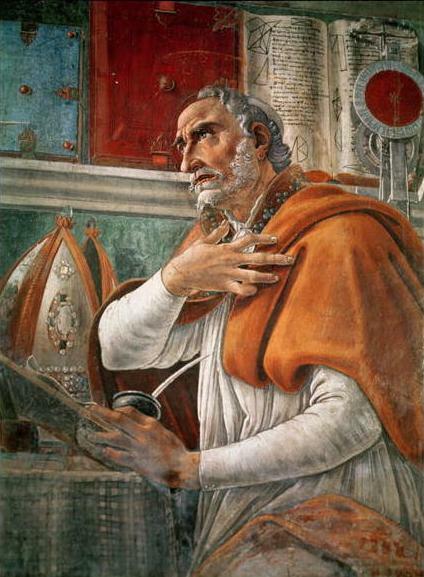 With the Gospel and therefore the Church spreading to the known world in Augustine’s time, it now spoke all those languages. God no longer needed to give the gift of tongues. The Church spread throughout the nations is speaking with all tongues; the Church is the body of Christ, you are a member in this body; so then, since you are a member in his body, which is speaking with all tongues, confidently believe that you are speaking with all languages. Since you are united to the body, he argues, you therefore speak in all languages. There is much to like about his overall argument. But it is not perfect. The main weakness is that there are many unreached groups that we have since learned about. No one in the Church speaks their language. One would think that the gift would be “revived” in order to reach these groups. Many a linguistic missionary wishes it was that easy. But we have not seen this happen. We cannot anticipate how Augustine would answer this development after his death. It is an interesting view held by one of the great theologians and during the early centuries of the Church. Other books of interest on this matter would include Gaffin’s Perspectives on Pentecost and Stott’s Baptism and Fullness. On my shelf is a copy of Anthony Hoekema’s What About Speaking in Tongues? that I’ve been meaning to get to for years. Maybe soon.